[Short Story] Outrunning your Destiny. If you have never met the Runner, you probably are one of those people who live a fulfilling life. Have kids, play it safely till retirement and then wait for death. Not runner, nope. 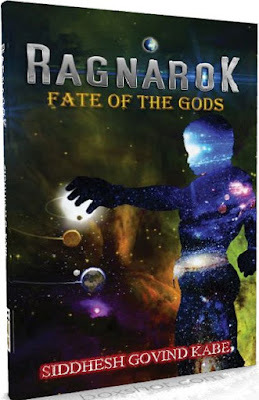 He has met Death, twice by some account, messed with God's, raced from stone age to the future and is running forever since the beginning of time. 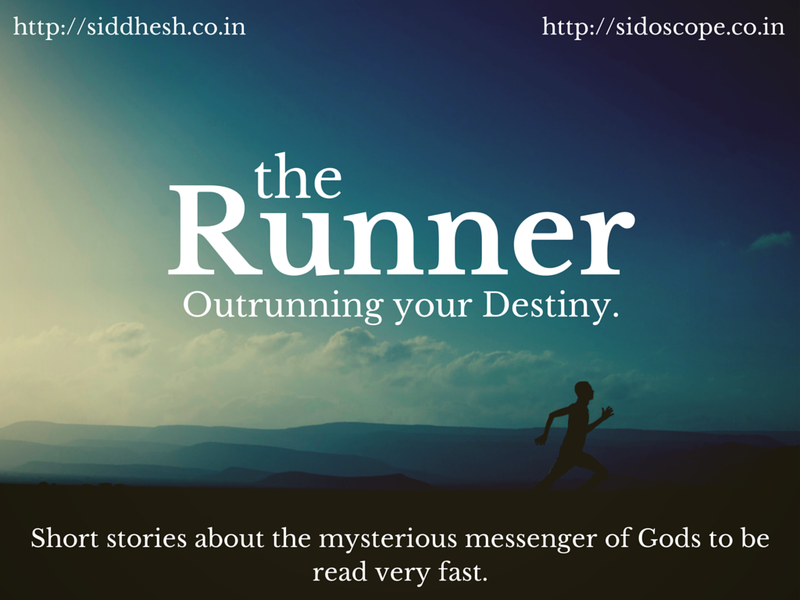 Runner is the messenger for those who did not want their messages to be read by Government, Gods and Ghouls. Extremely resourceful with the knack of escaping the law, bullets and even death, twice so far. All his adventures begin and end with one conclusion. He is mysterious. This adventure began when the hooded figure arrived at Runners lunch table few days ago. “You are here,” said the hood looking at the Kheema Pav, Runner was gobbling. “You are Deaths brother you say? What are you?” The Runner asked. “A forgotten entity, my name isn’t important,” the hood said. The problem with these supernatural entities was that they were very egoistic with a flair of drama, thought Runner as he jumped across the boulders. Why can’t they pop into my office like the rest of the clients? What was it about this dusty old book that he had to fetch, thought Runner. He was mounting the Desert Bike arranged for this adventure. He dialled the coordinates given by the mysterious hood into the navigation GPS. It was a simple task, in the middle of the desert was a dry well. The well was the secret opening to an ancient library that held many secrets, all Runner had to do was jump in the well, grab an ugly book and well... run. “And tell me again, why can’t you do it yourself?” asked the runner at the lunch table when the hood was explaining the mission. “I need a million rupees,” Runner said taking a stab, no one would give him a million. “Done,” said the Shiver man. If only life was that easy, thought Runner as he had entered the library through the well and realised that it was 20 floors down the ground with a gaping hole in the middle. Each floor having more than thousand books and some dirty looking statues and were spiralling towards the ground. He paused to examine the statues, mostly in supernatural horror movies, the statues come to life, but they were statues. Moving on, he realised that he had to boringly look for that book in this dusty library which seem to have no security at all. Or did it? Runner turned back to double check if the statue moved but it did not. He was alone in the entire library. Its a small library, you will find the book on the bottom of the bottommost shelf of lowest floor. Instead of climbing down the stairs he decided to climb down a rope to the lowest floor. He secured a knot on the railing on top and tied the other end to his hip. “...RUN,” screamed a woman rushing from the darkness towards him. “Wha....,” he didn’t get time to complete his sentence as he saw why she was so keen on running away. There was only a giant nine foot monsterish duck chasing her. His mind raced fast towards the escape rope only to find the woman halfway up there. The duck did not bother looking at him but was chasing after the woman. Runner held his breath as the duck brushed past him and quietly he picked up the dusty old book. The moment he picked up the book, the duck paused and turned back. “Oops,” smiled the runner and started running in opposite direction. The duck having change of plan started chasing the Runner. But he used his skills to hop on the statue use it as a platform and haul himself on the rope. The dusty book safely tucked in his handy backpack. Easy peasy, thought the Runner as he climbed his way up the rope. One big monstorish duck escape. He looked up for his escape route and found that two statues were looking down at him. “Thats a cliche,” screamed the runner and climbed onto to the upper floor. The statues were all looking at him blocking his view for the doorway. The girl who had run out previously was held by those statutes. Runner dabbed his hand inside his pocket and pulled out a black powder. “And we say the magic words,” with this he threw the powder in the air and it blasted into vibrant colours. “RUN...” he screamed charging at the startled statues and grabbing hold of the woman out of the open doorway. In the next few seconds he was on his desert motorbike and she sat as his pillion. They reached a makeshift airport where his chartered plane was waiting for him. Once airborne, Runner opened the open on the bookmarked page. With the puff of air she vanished leaving the Runner confused as what happened. Runner finding himself holding destiny in his hand decided to skip his meeting. The girl would anyways kill the hood won’t she? He decided to play the lottery and to his surprise he won the bumper price. Runner decided to exploit this further. A few million later the book predicted there was an impending tax audit on him. Runner decided to pack up and leave the continent in a private airliner. As he boarded the plane a familiar voice startled him. “I don’t know what you are talking about,” said the runner. “Really?” The old man said. “Ok I know, but we had agreed upon a million upon completion of the task?” the runner said. “Didn’t you win from lottery tickets?” The hood replied. “Yes but didn’t the girl chase you at the railway station?” asked the Runner confused. “And you choose to meet near the lottery centre to tempt me to play the lottery,” Runner said finally realising. The runner handed over the book. But then as usual he was alone in the plane and a confused air-hostess was looking at him. He still had the plane. "Sweet," Runner thought and ordered his private kitchen to prepare another Kheema Pav.